Stretch, located on East Sixth Street, opened in December 2016. As with most ventures, the seeds were planted long before. Patel was doing the high-stress-New-York-City-life thing when she decided to take yoga teacher training. Along the way, Patel taught yoga classes to fund her travels. At one point, she even managed a studio in Nepal, where she got a feel for the business side of yoga. This experience was invaluable to what would ultimately become Stretch in Austin. “I didn’t want to just open a yoga studio; I wanted to fill a void,” she said. The market opportunity presented itself to her: yoga that preserves tradition, but is relevant to today’s lifestyle. “Accessible” is the key word in the Stretch philosophy. Everything revolves around this ethos. “I wanted to make sure I created a yoga studio that took a very traditional practice and put it in a modern context,” Patel told me. You can find many examples of how Stretch caters to non-yogis like me, including the approachable name of the studio itself. 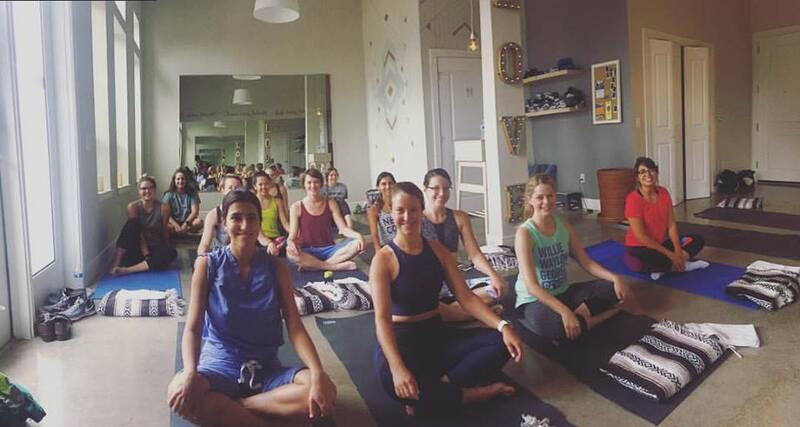 Another part of making yoga accessible is having classes scheduled around a person’s work day. During the week, there’s the early 6 a.m. for the super-motivated (shower available if you want to go straight to work after), a noon class for those who can get away for lunch, and then a few staggered classes starting at 4:30 p.m.
Don’t be dissuaded from coming to Stretch if you’re a long-time, experienced yogi. Accessible does not mean slow or easy. These instructors will make sure you get what you came for. Stretch doesn’t limit its offerings to inside the studio walls. In fact, the local business is becoming known for what happens outside its walls, almost more than what happens inside. One way Stretch is doing this is through Stretch Soundscapes. These classes are held in public places, and each participant wears wireless headphones that “help you get into the zone,” according to Patel. Music, often from a live DJ, along with the instructor’s directions, stream directly to your ears. 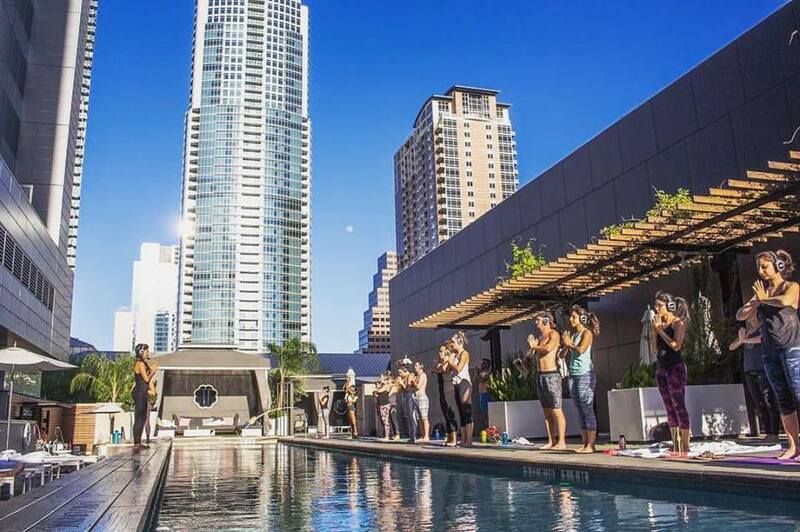 Past locations for these pop-up sessions include the W Hotel’s pool area, The Historic Scoot Inn, and Whole Foods Market. “We want to take the vibe of our studio and bring it outside,” Patel told me. As you may have noticed, Stretch isn’t afraid to try new things, and there are big plans for the future. Patel told me she hopes to one day hold meditation classes, as well as yoga. Also, “Stretch @ Work,” an arm of the business responsible for training instructors to teach classes in office spaces, will be launching soon. 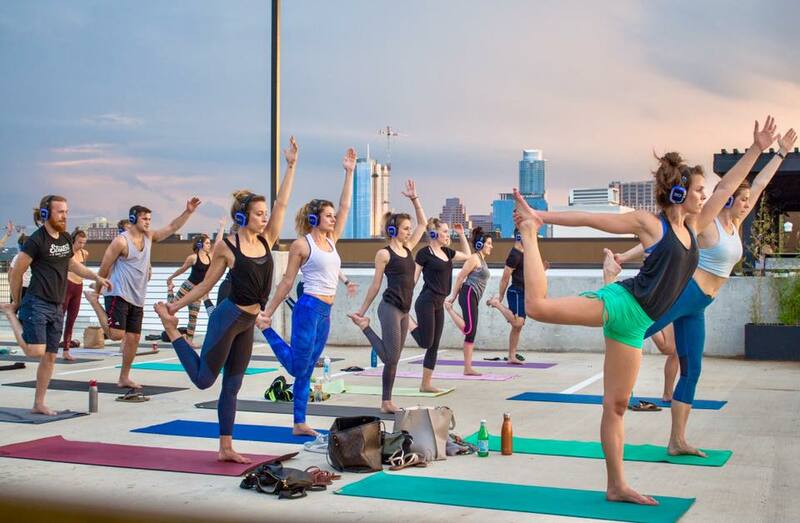 There’s nothing more Austin than putting a new spin on a traditional practice. Stretch will continue to serve yogis and novices alike, with creative and accessible opportunities. 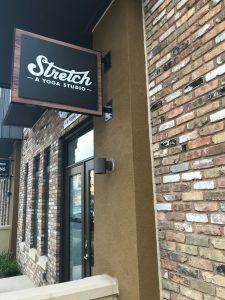 Have you been to Stretch yoga studio yet? New students get an unlimited month of yoga for only $35!